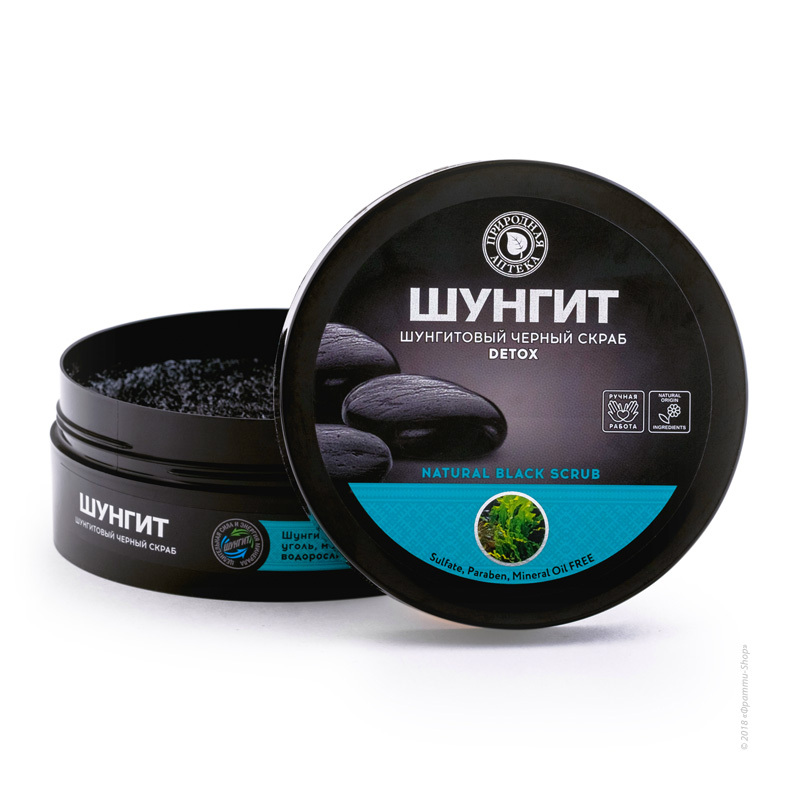 Shungite black scrub is made on the basis of a unique mineral shungite, activated carbon, sea salt and seaweed extracts. 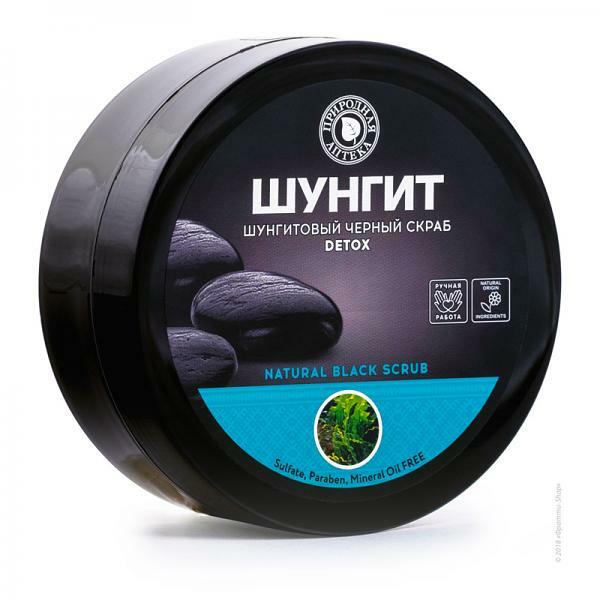 Scrub effectively cleanses the skin, relieves from toxins and dead cells, rejuvenates it - improves skin elasticity and protective properties of the skin, gives smoothness. Shungite and activated carbon are powerful natural absorbents and antioxidants. Together, they absorb and remove toxins, help the skin to intensively recover, thereby preserving and prolonging its youth. Sea salt thoroughly cleanses the skin, gives it tone and elasticity, activates blood circulation. The most valuable algae fucus and kelp remove toxins and excess fluids from skin cells, have a lifting effect. Sea Salt (sea salt) *, Focus Vesiculosus Extract (fucus seaweed) *, Laminaria Ochroleuca Extract (kelp seaweed) *, Shugite (shungite) *, Carbo Activatus (activated carbon) *, Palm Oil *, Glycerin, Cocamidopropyl Betaine *, Cetearyl Alcohol *, Parfum. Facial scrub "Deep cleansing" for oily and problem skin by Kafe Krasoti, 100ml.